A new analysis of prescribing practices found a significant drop in opioid use from 2012 to 2017. A multitude of factors seemed to be at play, including publication of the Centers for Disease Control and Prevention's 2016 guidelines for prescribing opioids for chronic pain. Despite continued declines in the following year, experts weren't ready to say that the CDC guidelines were the driving force. "During that time there was a lot of interest in this area, and at that time there were a lot of things going on in a lot of spheres," said Dr. Alan Schwartzstein, a family physician in Oregon, Wis., and a spokesman for the American Academy of Family Physicians, "I would say the cause for the decrease was multifactorial—the CDC guidelines may have played a role but not necessarily definitive." The analysis, published Tuesday in the Annals of Internal Medicine, studied prescribing practices from 2012 to 2017 and found prescriptions had begun to decline prior to the release of the CDC guidelines, decreasing 36% from 6,577 prescriptions per 100,000 people a month in 2012 to 4,240 by December 2017. This represented a decline of 23 prescriptions each month per 100,000 people from 2012 to 2016, and a decrease of 56.74 each month per 100,000 from March 2016—when the guidelines were released—to 2017. The rate of high-dosage opioid prescriptions—those totaling at least 90 morphine-equivalent milligrams a day—fell by 3.5 a month per 100,000 people from January 2012 to January 2016 and decreased by eight a month per 100,000 from March 2016 to December 2017. Physician prescribing of opioids was the primary driver of the opioid epidemic during its early years. The number of opioid prescriptions written in 2012 reached 259 million, according to the CDC. 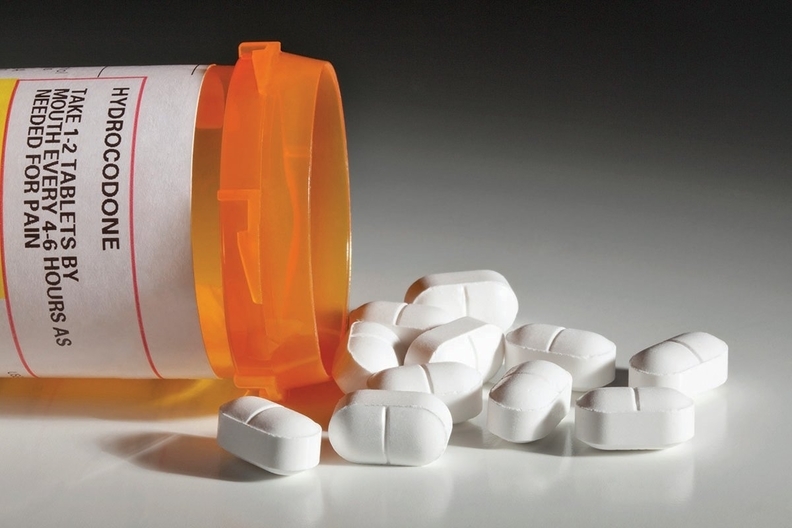 Researchers also found decreases in the rate at which clinicians prescribed opioids to patients who were also using benzodiazepines, the combination of which were found in 2015 to be the cause of 23% of overdose deaths. The study found the percentage of patients prescribed opioids who had overlapping benzodiazepines declined faster after March 2016 when the CDC guidelines were released compared to before that time. "Clinical practice guidelines, including those for which compliance is voluntary, may be able to change clinician behavior," researchers wrote. "Our findings demonstrated that the CDC guideline release was associated with decreases in key metrics of inappropriate opioid prescribing patterns." The study estimated approximately 14.2 million fewer opioid prescriptions were filled from March 2016 to December 2017 than were filled from January 2012 to January 2016, prior to the guidelines. Despite declines in opioid prescribing, the number of overdose-related deaths continue to rise each year as increases in the use of illicit drugs such as fentanyl and heroin has replaced prescription opioids as the main driver of the current crisis. "We still have a significant issue in our country with this, but it's fortunate that less of this is related to physician prescribing than it was," Schwartzstein said.